When I look at my boudoir, I'm pleased to see how it's becoming more and more streamlined these days. All of the items are nicely going on rotation and well-loved rather than just sitting and waiting to be used months after, worse even hit expiration date. These Nippon Esthetic finds are my new faves that after 2 months of getting them, are well loved and borderline abused. They were sent to my PH address while in the US and my mom being the best and original enabler, she found means to send it my way. If you love the K-Palette 24H Real Lasting Waterproof Eyeliners like I do, you will likely love these liners too. 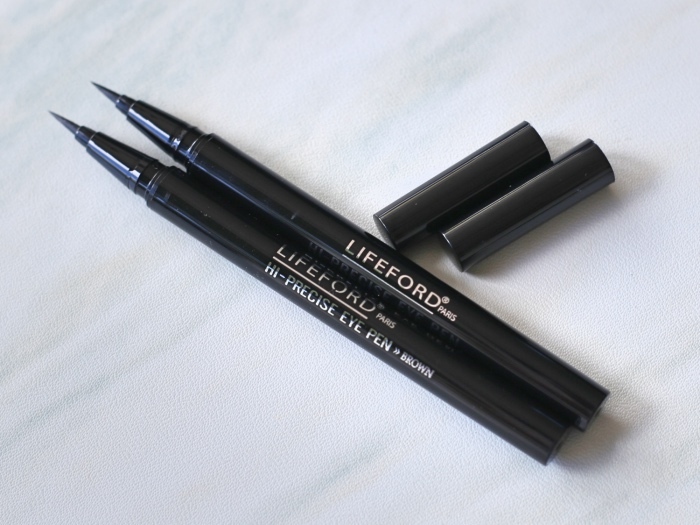 These Lifeford Hi-Precise Eye Pens (Php 380) are prefect for creating all-day winged eye liners. Its pointed felt tip nicely glides and leaves a consistent, bold, and flat-hued true brown or jet black. I like that you can run over the line again and the pigment doesn't clump up. These waterproof liners are also smudge-proof and didn't irritate my sensitive lids. 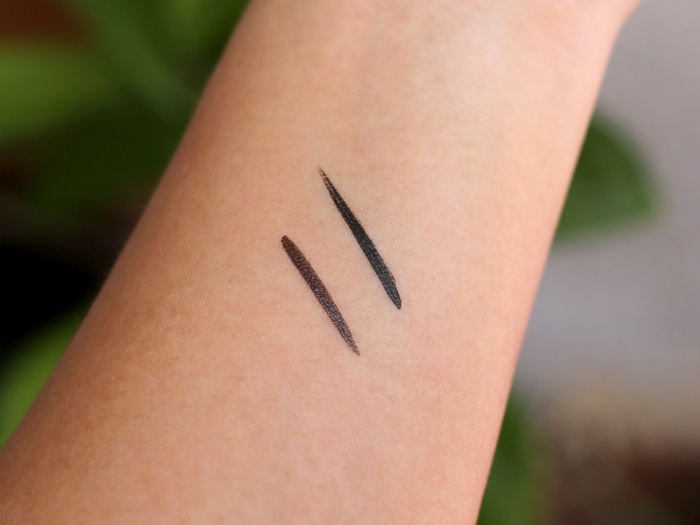 Here's a quick swatch love of the Lifeford Hi-Precise Eye Pens in brown and black. These were only swiped once! 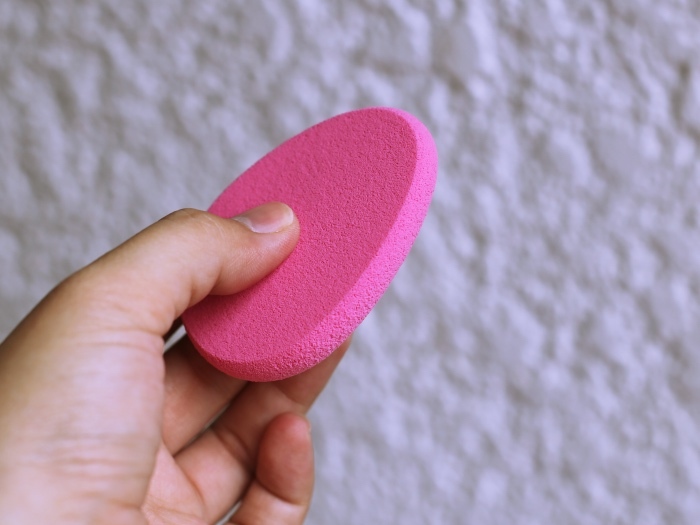 While the egg sponge has taken the beauty arena by storm, we still can't beat the versatility of a flat-surfaced sponge. The dermatologist tested and hypoallergenic Nippon Esthetic Teardrop Sponge (Php 80) helps me create an even and flawless canvas every time whether I'm using cream, powder, or even liquid foundation. Use the tip for precise application under the eyes, corners of the nose, or even pimples then the wide edge for larger surfaces. These great finds can be purchased at NipponEsthetic.com, BeautyMNL.com, or Nippon Esthetic's stockists. To find one near you, go to nipponesthetic.com/find-a-store. 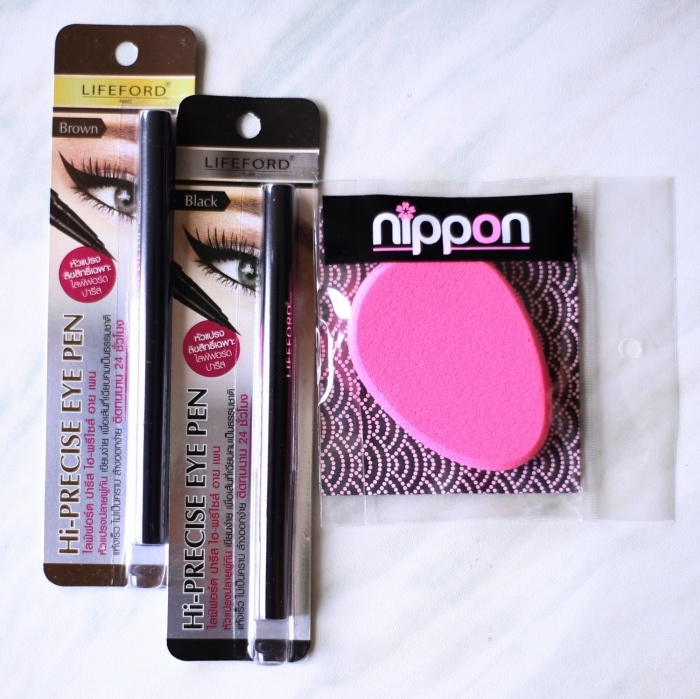 1 comment on "New Beauty Must-Haves from Nippon Esthetic"
The teardrop sponge is such a great find! Mura at versatile! Thumbs up!